The fastest and easiest way to grow your income is to attract prospects who are seeking a solution to their problem and are ready to buy. 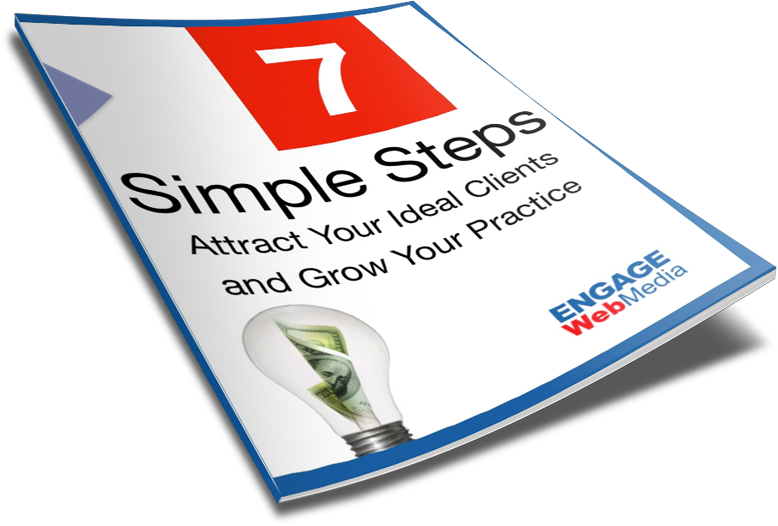 Discover how to attract your ideal clients in this FREE report. Whether you’re a coach, consultant or professional service provider, the health, vitality and growth of your business and the profit it generates relies on one overriding factor: attracting a steady flow of great clients. Agreed? In today’s competitive landscape, your prospects have more choice than ever. They’re researching and evaluating suppliers online long before deciding on who to buy from. That puts you at a severe disadvantage if you don’t have an effective online marketing strategy to attract and engage these hot prospects. of incoming inquiries from motivated prospects, rather than going out and trying to find and convince someone at a networking event or worse, cold calling. Work is much more fun and rewarding when you’re in the zone working with clients who respect you and appreciate your solutions. Leave your frustration with trying to figure out how to attract your ideal clients behind. It’s time to take control of your destiny. The free resources you need to Attract Your Ideal Clients are accessible via the Instant Access and Register buttons above. It's time to take action on realizing your business goals. Thank you team Engage Web Media. I love knowing that I can depend on you and your valuable experience to design and maintain a website that truly reflects my work as a Life Coach. It is clear, colorful and easy to navigate, and I always receive excellent feedback on it. “You have clearly taken an interest in what I do. In fact, it was you who first suggested that I add helpful articles and a 5-day E-Course. Both of these additions have encouraged other people to learn how a Life Coach can improve their lives. I highly recommend your services”. Thank you for all the creative and technical work in building a website for my coaching business with all the bells and whistles that Google requires. My site now ranks better than before and it accurately reflects my business. Better still, it is not just a website, it's part of a larger marketing approach that is a minimum in today's online world. If you are thinking of redoing your website, call Engage Web Media".